The Director of Communications for the Domestic Lumber Traders Association of Ghana, Anthony Partey Asare, has said the Association is contemplating importing lumber from Liberia since the lumber from Ghana’s forests are fast losing their quality. He said the Association again travelled to South America and is looking at importing lumber from some countries there to serve the Ghanaian market and also add value for export. Meanwhile, some wood dealers are accusing officials of the Forestry Commission of extortion and daylight thievery. According to the dealers, these officials are engaged in various forms of extortion, a situation they say is taking a huge toll on the wood industry. 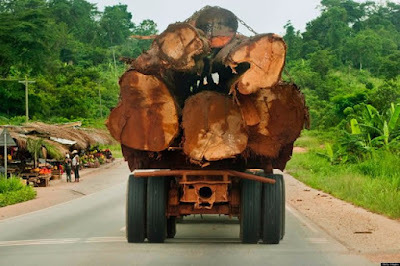 They claim the officials have devised various means by which they illegally surcharge them and illegally seize and divert legally acquired lumber from the forest. The Chairman of the Timber Market Wood Dealers Association, who doubles as the Director of Communications for the Domestic Lumber Traders Association of Ghana, Anthony Partey Asare, expressed concern about the situation, saying “The same commission will give you a permit to convey lumber from anywhere to Accra and when you get to Accra, the same Commission will seize the wood..You will later be asked to pay between 8,000 and 10,000.